So we have to make the best of these last days. Tonight we'll eat together, making snacks and desserts from our home countries using Kenyan ingredients. So they might taste a bit differently. But it will be fun! 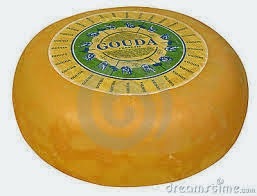 I'm bringing Dutch Gouda cheese, bought here locally. Not exactly this one, but still it's about 1 kilo of cheese.